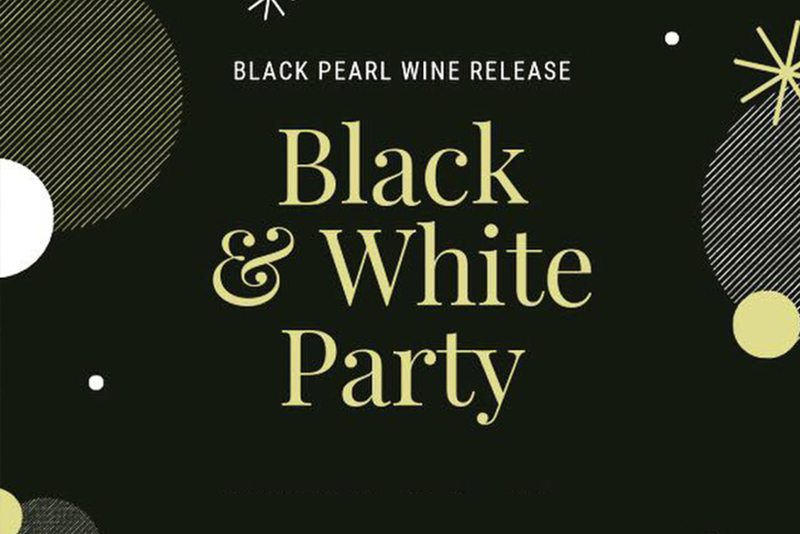 Join Diletto Winery for the release of Black Pearl wine at the “Black & White Party” on Friday, April 5, 2019. The Black & White Party features: 3 limited edition wines and sangrias plus specialty drinks, VIP couch lounge available for purchase (limited quantity), cocktail dining (a variety of hot/cold appetizers all evening), candy bar buffet, DJ Hootie, local vendors featuring clothing, purses, jewelry, massage therapy, nails, music, candles, make-up, crafts and more, and door prizes every 15 minutes. First 30 guests to register get a keepsake “WE FANCY!” stemless logo wine glass. Tickets are $16/person and must be purchased in advance at bit.ly/BlackAndWhiteParty2019. For more information, please call 330-330-8844.